I mentioned last week that I’d have a couple strawberry recipes for you this week, so here is your first – a cocktail! 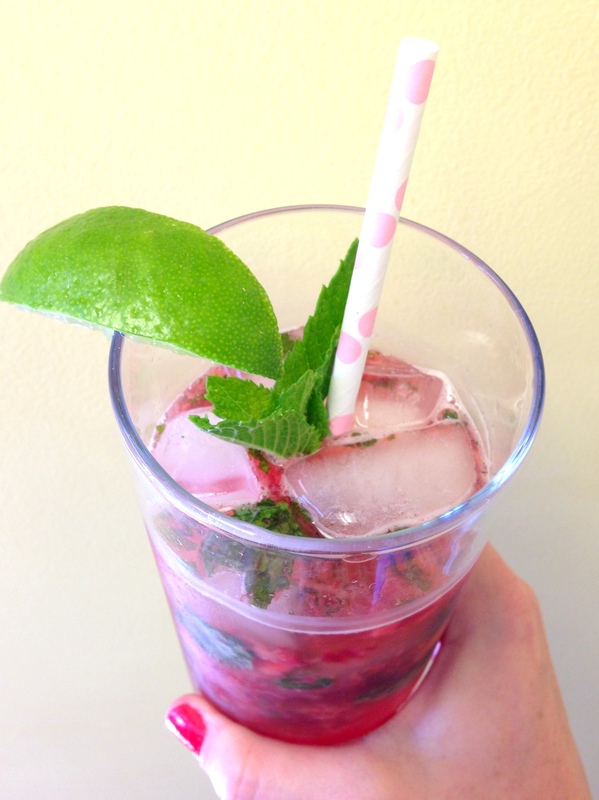 I just love mojitos – I think they’re the perfect summer beverage. 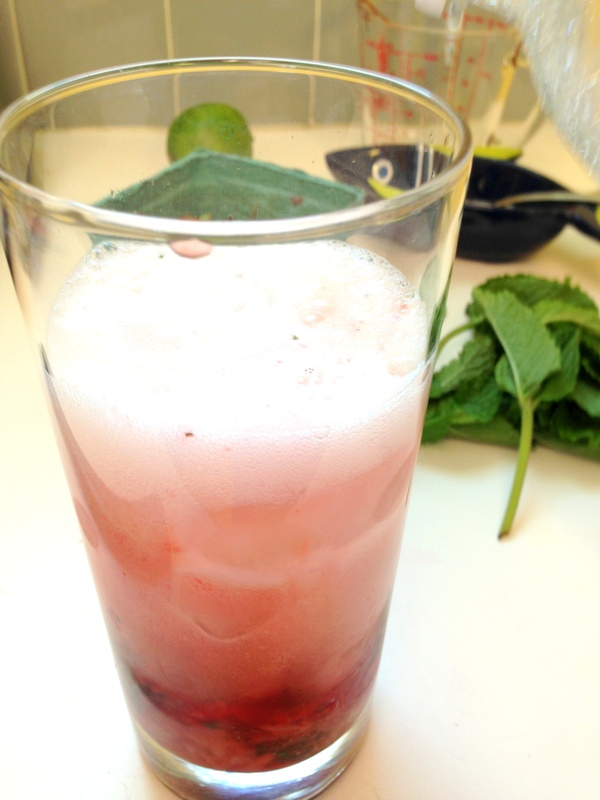 In fact, we had blueberry mojitos as the signature cocktail at our wedding! 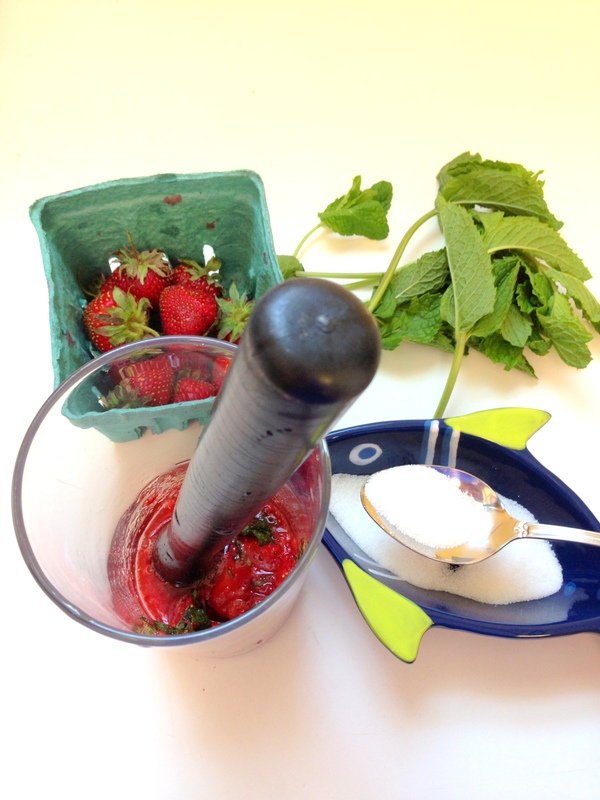 I thought I’d share with you today the recipe to make your own strawberry mojito from scratch and since it’s right in the middle of strawberry season I suggest you make these now! 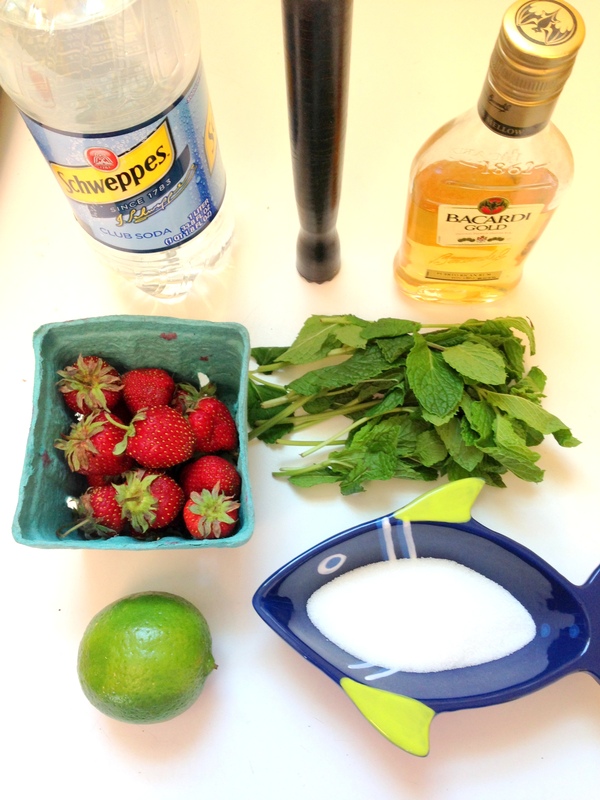 You will need: Club soda, a muddler, white rum, strawberries, fresh mint leaves, lime, white sugar, and ice (not pictured). 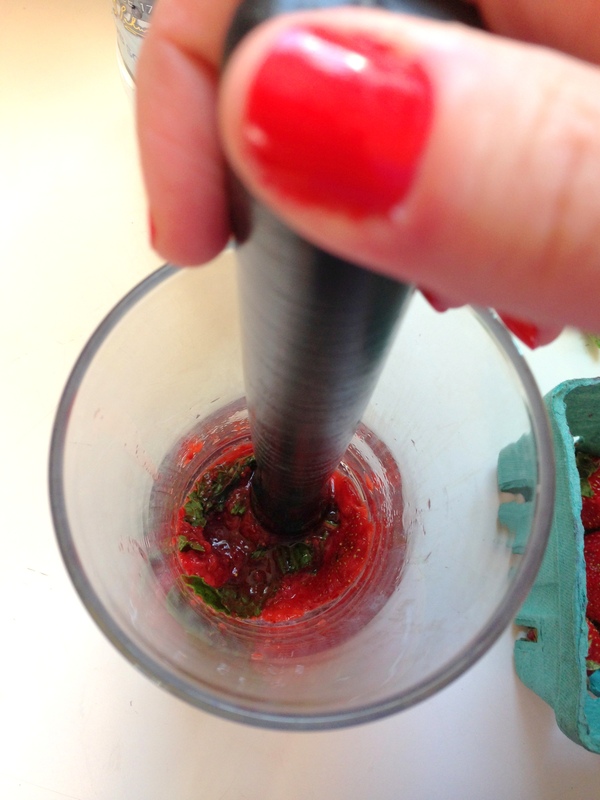 First, muddle strawberries (I used 3 since mine were so small) and about 10 mint leaves in a tall glass. Add 2 Tbs of sugar (more or less depending on your taste) and 1 more strawberry (or 2 of they’re small, like mine were) and continue muddling. Fill your glass with ice, pour 1 1/2 oz of white rum over the ice and then fill glass with club soda. Stir well! 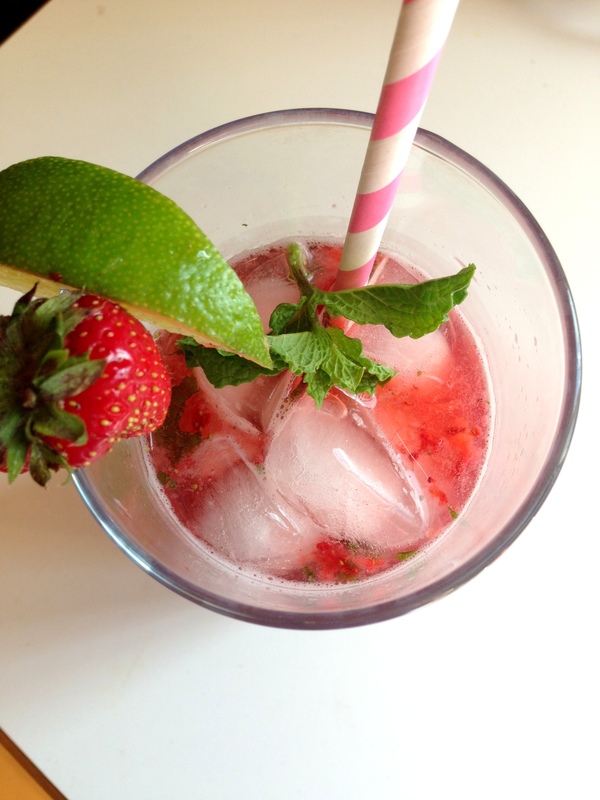 Garnish with a lime and a couple mint leaves. Enjoy! While we’re in being tourists in the fabulous city of London this week I thought I’d share with you my thoughts on what to wear while you’re being a tourist. When you’re traveling to a place like London, you know you’ll be out and about all day visiting museums, parks, famous stores (Harrod’s!! ), all the while trying to look great because you’ll be posing for tons of photos, trying to be comfortable because you’ll be walking miles, and trying to be dressed for the weather – which – in a place like London is a giant variable. SO! With all that in mind, here is what I’ll be wearing while being a tourist this week in London. Seeya later mate (trying to fit in a little)! 1. I am addicted to my chambray, similar to this from Madewell so I will absolutely be wearing it a lot on this trip; 2. A cute baseball cap from kate spade Saturday if it’s sunny and you need to protect your face; 3. A necklace because you still want to accessorize while you’re being a tourist! I love this one from Topshop for a pop of color; 4. You should always carry an umbrella in London, it might as well be cute like this one from Anthropologie; 5. A white tank for under my chambray – these BP double scoop neck tanks from Nordstrom are my fave; 6. 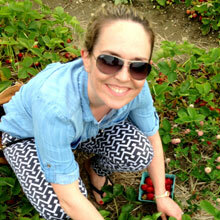 I love a bright pant – and they look so great with chambray tops, especially in your vacay photos! I love these Toothpick jeans in Fresh Purple from J. Crew; 7. Our good camera – the Nikon D60 for all our photo taking; 8. ;My favorite Silver Sparkle Converse sneakers – the perfect urban sneaker for a gal who loves sparkle and comfort; and 9. A crossbody bag to hold all your stuff and wear comfortably all day. I have one the same shape and size as this kate spade bag and it’s perfect for travel. I feel like I have only been sharing serious desserts with you guys lately – aka, not healthy but totally yum. 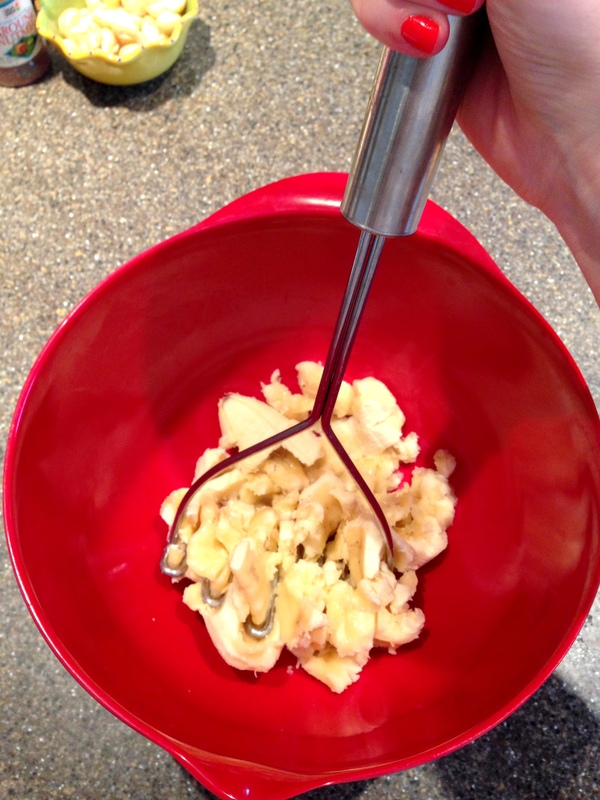 So, I thought it was time I share something a little better for your waistline today! I saw this recipe last week on Pinterest, immediately pinned it and decided I would actually make them (as opposed to everything else I pin). 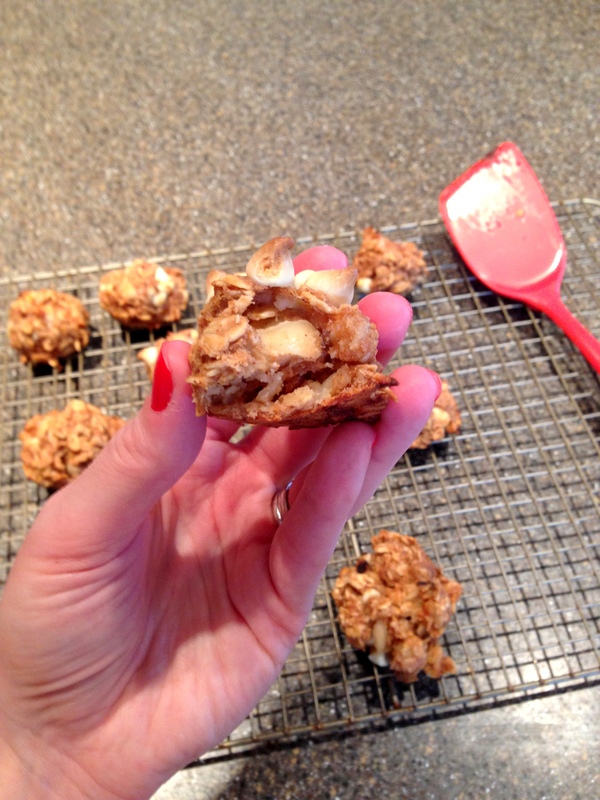 I made these late last week, and let me tell you, if you have the right expectations, these are delish! A traditional, chewy yummy cookie these are not. But if you’re watching what you eat but still want something sweet in your day, this is the cookie for you because there is no oil, no flour, no eggs, and no added sugar in these! Plus, as with everything I make, the recipe is pretty easy. 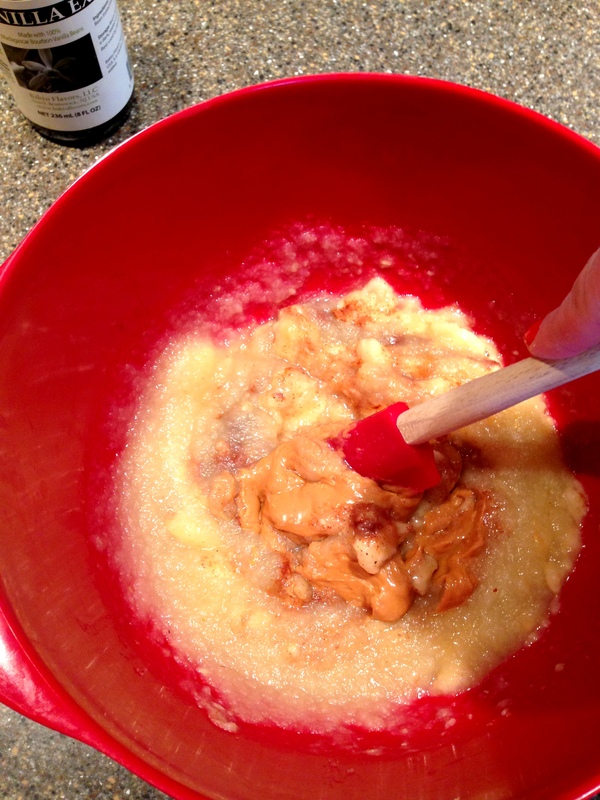 Then add the peanut butter, applesauce, spices, and vanilla – stir. 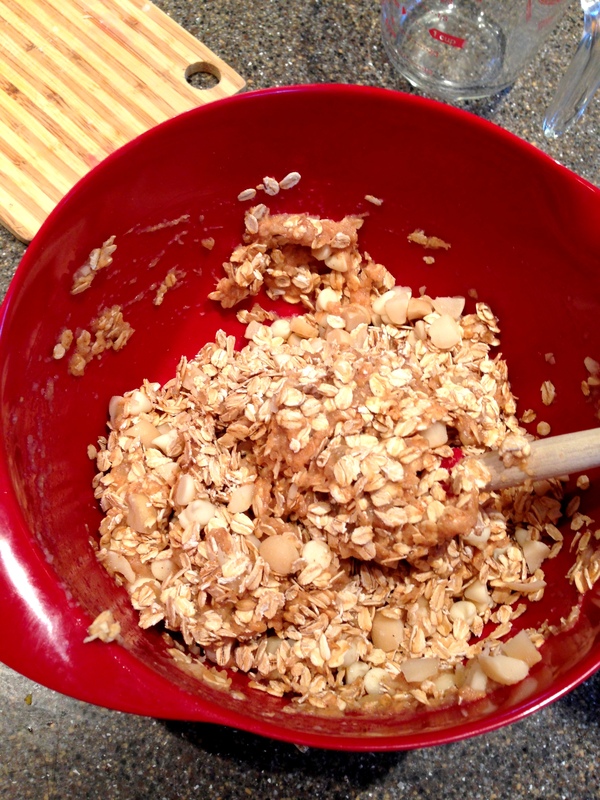 Add the oats, chocolate chips, and nuts – I used white chocolate chips and macadamia nuts. 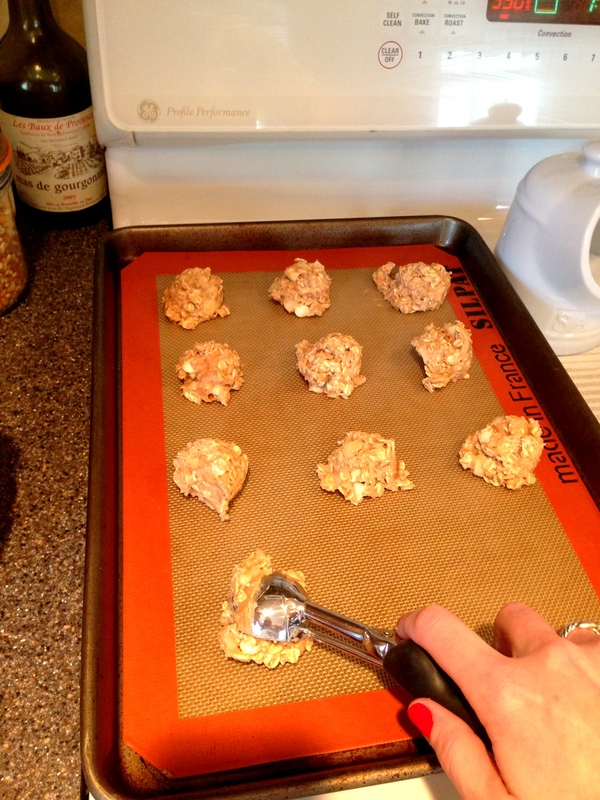 Scoop 2-inch balls of dough onto your cookie sheet lined with parchment paper or a silpat. Bake for 20 minutes at 350. Enjoy – these taste best while still a little warm! 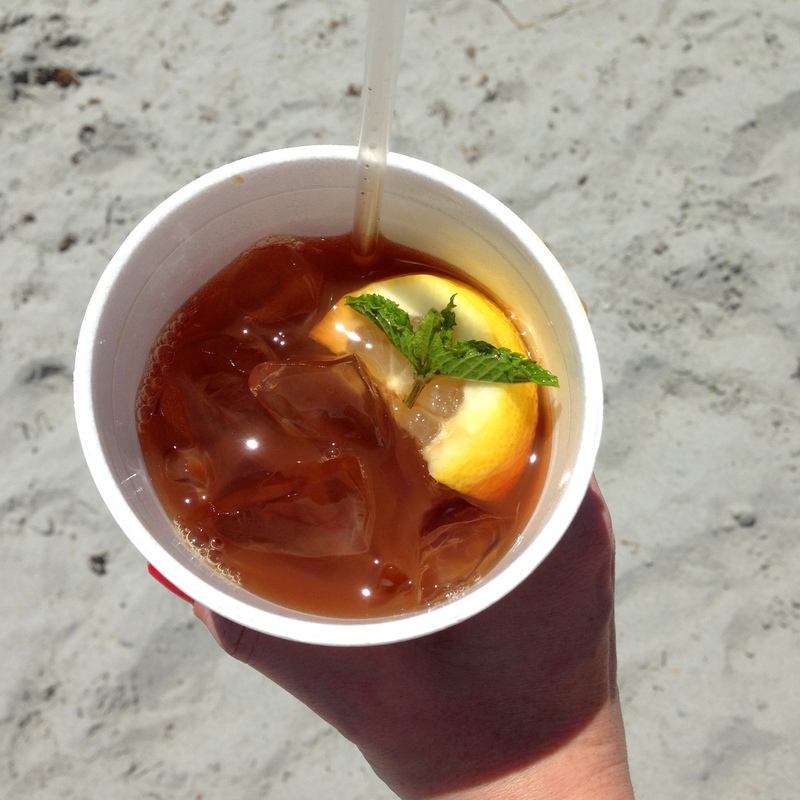 We went to our favorite beach over the weekend and I got my favorite summer drink at their snack bar – an Arnie Palmer with a hint of fresh mint! 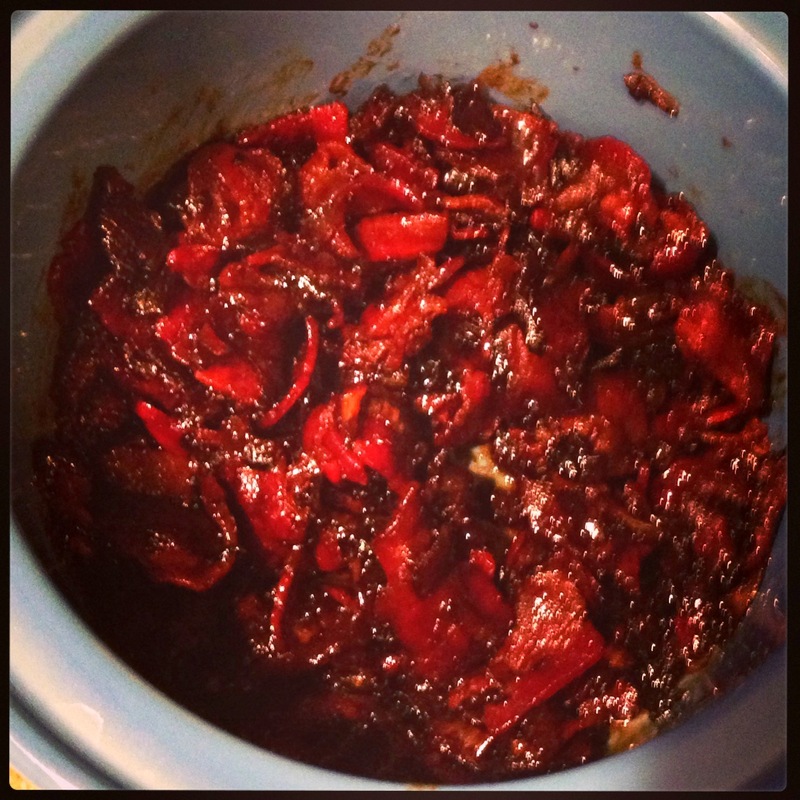 I made my husband bacon jam as part of his Father’s Day dinner on Sunday, it was as good as it sounds and we still have some in the fridge for later. 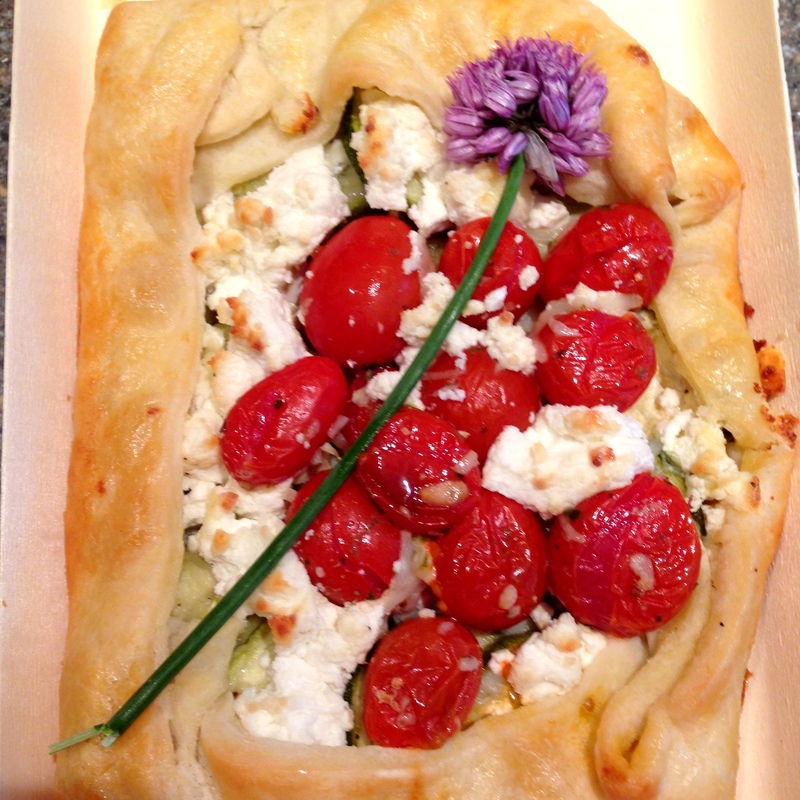 On Monday I had this amazing goat cheese, tomato, and zucchini (hidden under the cheese and tomatoes) flat-bread from the same farm where we went strawberry picking on Father’s Day. Our little Z was sick all week =( Here she is doing a little reading while we wait for the doc. 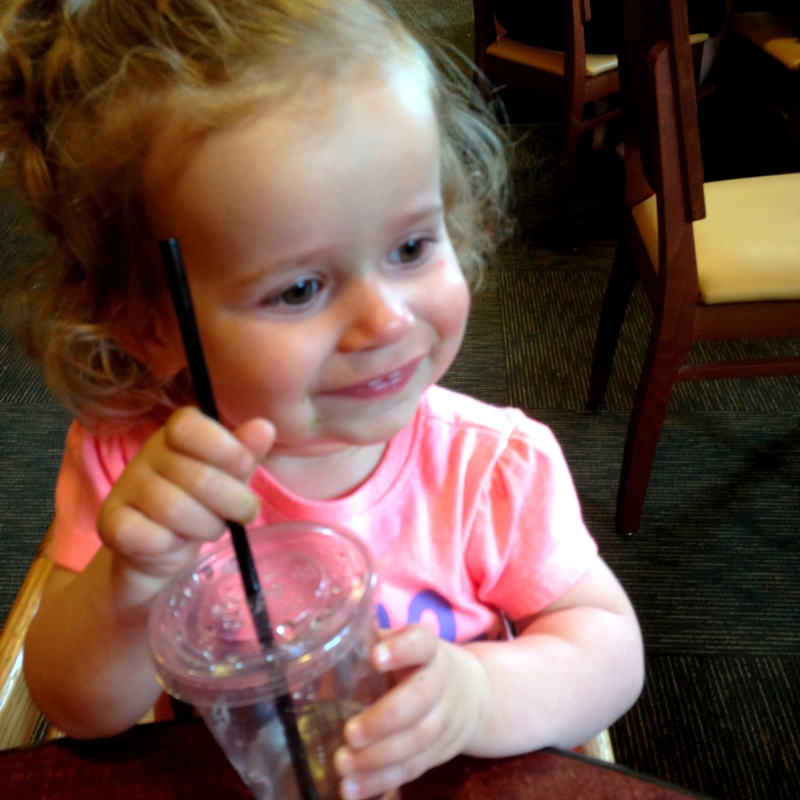 And this is Z on our little lunch date beaming with glee because she has her own mini Panera cup/cover/straw to drink from…it’s the little things in life, right? This is me trying to pack for London! It’s cold, rainy, sometimes warm, could be sunny….yikes! Have a great weekend…you know where I’ll be! =) Be sure to follow me on twitter to join in our London adventures! 1. I start with a tank in case the plane is hot like this one from Zara…; 2. And also wear some sort of cardigan or wrap top like this one from J. Crew Factory; 3. 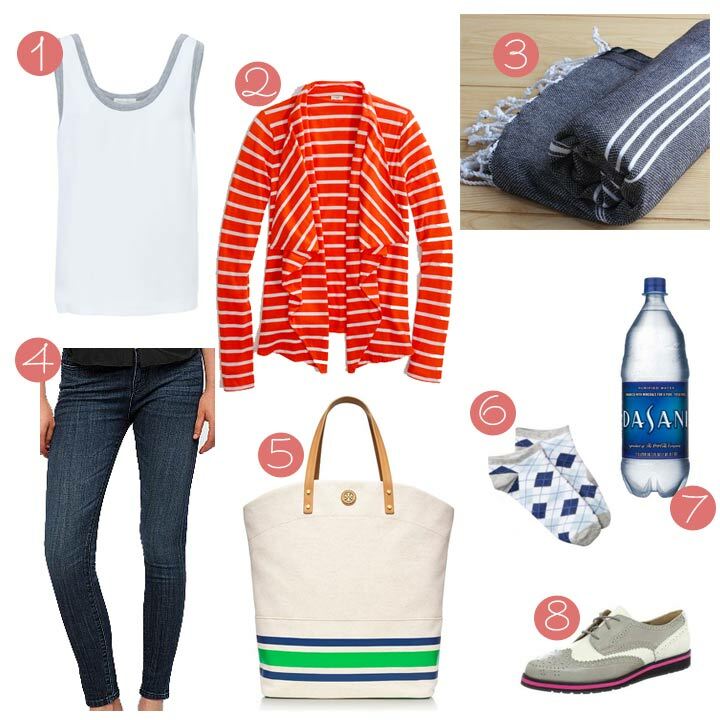 I bring a Turkish Towel – they’re great to keep you warm on the plane if it gets chilly, and you can also use it on your trip as a picnic blanket, beach towel, or even a bath towel if you need one; 4. I always seem to wear jeans with a little stretch, like my favorites from Urban Outfitters; 5. I also pack a large carry-on like this one from Tory Burch so I have room for snacks, my kindle, iPhone, headphones, etc…; 6. I bring cute socks like these from Target to wear if you need to take off your bulky shoes (see #8); 7. Water. Airlines give out those tiny bottles nowadays which is not nearly enough. I buy the biggest bottle I can find once I’m at my gate in the airport; and 8. I always wear the bulkiest shoes I am packing for my trip to save room/weight in my suitcase. I’ll be wearing my Isaac Mizrahi Oletta Oxford Shoes. B: Best friend – Same guy I’m married to. C: Cake or pie – Cake. D: Day of choice – Saturday. We always seem to be doing something fun on Saturdays! 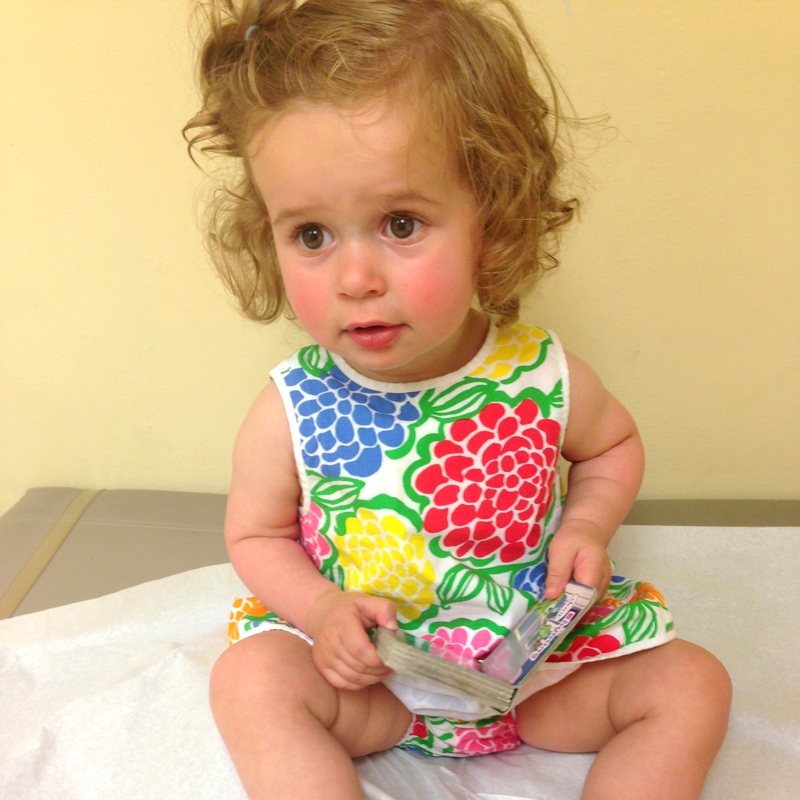 E: Essential item – I have to say my iPhone – mostly for taking cute pics of my daughter. F: Favorite color – Tough one, it changes all the time. Current: coral. G: Gummy bears or worms – Not into any shape of gummy. Blech. I: Favorite indulgence- Potato chips. J: January or July – January for skiing! I like cold more than hot. K: Kids – My Z.
L: Life isn’t complete without… – See above answer. 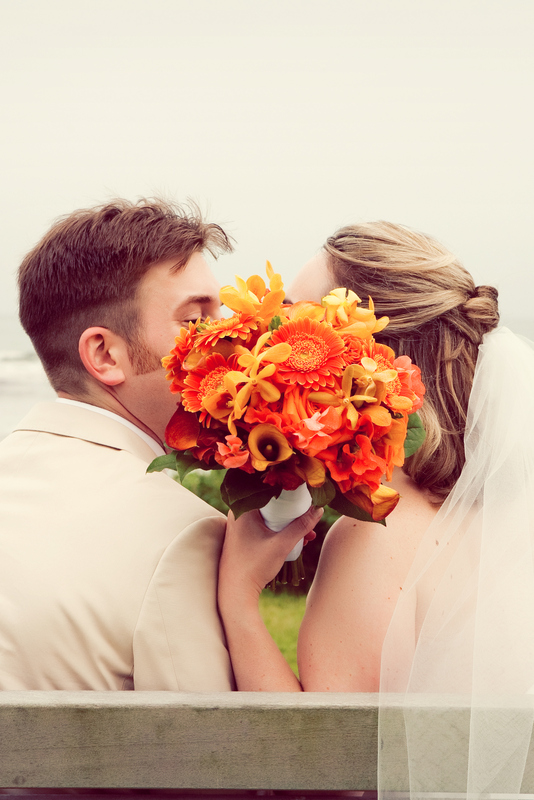 M: Marriage date – June 20, 2009. O: Oranges or apples – Apples. P: Phobias – Mice. Rats. Mice. Hate. R: Reason to smile – Spaghetti bolognese. And my family! S: Season of choice – Fall – favorite season for fashion and weather! 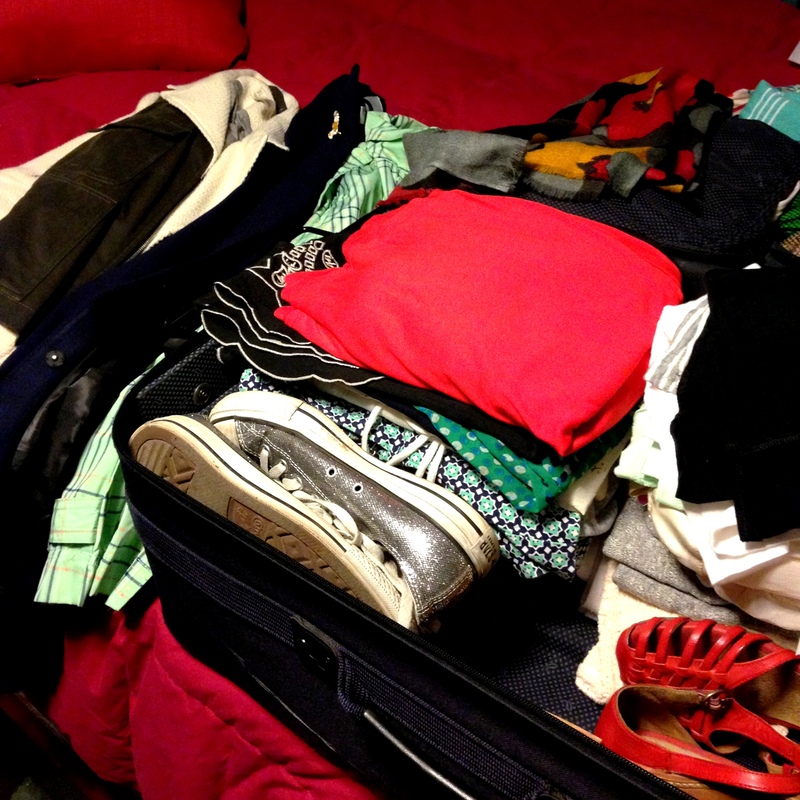 U: Unknown fact about me – I am a clothes collector (hoarder?) and still have a few shirts from high school. W: Worst habit – Tardiness. But I am always working on it and *think I’m getting better. X: X-ray or ultrasound – Um, ultrasound I guess? Y: Your favorite food – Pasta Bolognese! I have a serious love/hate relationship with shorts. When it’s the heat of summer, they are pretty necessary but, I hate the way my legs look in them. My answer to this issue is actually very surprising…go shorter! Maybe it’s because I’m somewhat short (5’4″) but shorts that hit right above or at my knee are less than flattering. They just cut your leg in half making me even shorter – no thanks! So it turns out the most flattering shorts hit mid-thigh, which actually makes your legs look longer. I might add you should also size up in your shorts especially if they’re in a skinny cut – slightly baggy shorts hanging off your hips are much more flattering that hip-hugging tight shorts. 1. I love these polka-dot chambray shorts from J. Crew Factory; 2. These sequin elastic waist shorts from LOFT are amazing and 40% off right now; 3. These Zara shorts with embroidered hems are no less than fabulous! They are currently sold out of every size but XS. Hopefully they re-stock soon! ; 4. 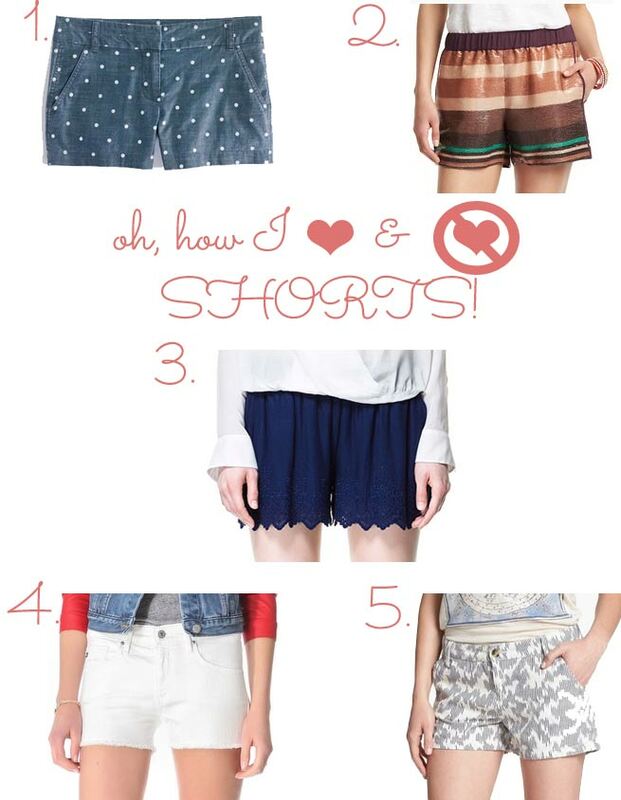 These AG Adriano Goldschmied pixie cutoffs from Shopbop are adorable and the perfect length. And I feel the same way about white shorts as I do white jeans; and 5. I love the print of these Lucky Brand Leela Ikat print shorts from Nordstrom. What are your feelings about shorts? !